With five years of cléo under our belts, it seemed only right to take this issue back to our roots, our namesake, and the reason we started this journey at all: Agnès Varda. Our founding editor, Kiva Reardon, discovered Varda in a third-year film class, and the rest is herstory; as the most prominent woman filmmaker in the French New Wave, with a singular, radically inquisitive vision to boot, Varda’s appeal for this issue was undeniable. In case you’re visiting us for the first time (welcome! ), our journal’s name comes from Varda’s second feature, Cléo de 5 à 7. Made in 1962 (seven years after her debut, La Pointe Courte), Varda’s second and most well-known feature follows the titular character, a coquettish pop singer played by Corinne Marchand, as she wanders the streets of Paris while awaiting the possibly dire results of a medical test. Varda traces the inner growth of this flâneuse—from a constructed feminine ideal to a more fully realized person—over the course of 90 minutes. Varda’s filmography and spirit created, for us and many others, a corner of film that felt welcoming, intellectual and political, as evidenced by our Varda roundtable featuring filmmakers Alexandra Hidalgo, Sofia Bohdanowicz and Caroline Leone and actress Indra De Bruyn. As our founding editor, Kiva Reardon, discusses in our interview with Varda, the filmmaker focuses on stories about women, revolutionaries, unconventional relationships, abortion and poverty. These themes guided our selection of essays for this issue: Sarah-Tai Black examines the political context and aesthetics of Varda’s 1963 photo-essay documentary short on the Cuban Revolution, Salut les Cubains; Eloise Ross writes on Varda’s exploration of Parisian streetscapes through their feminine statues in Les dites cariatides (1984); Joseph Pomp looks at her formal play in the experimental TV series Une minute pour une image (1983); So Mayer calls for a “Vardadian aesthetic”; and Nourhan Hesham takes us full circle with a piece on illness and objectification in Cléo de 5 à 7. We also hope you’ll love the magical ode to Varda’s fantastic truths in comic form by our cover artist Alejandra Espino! 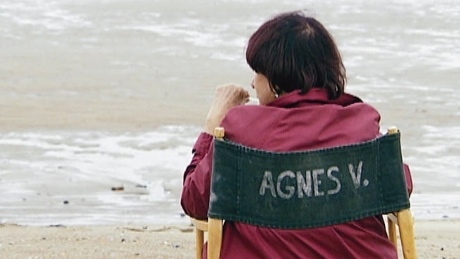 While Varda films with a style that is uniquely hers, she disavows an idea of auteurism in favour of what she calls cinécriture. In this concept, the director doesn’t hold sole ownership over the film, but all roles (cinematographer, screenwriter, editor) work together. Basically, she believes in collaboration. This, maybe above everything else, is her greatest legacy. In Varda, we’ve found not only an identity, but a guiding ethos: Cléo the character comes to self-realization through the observation and mastering of her space. 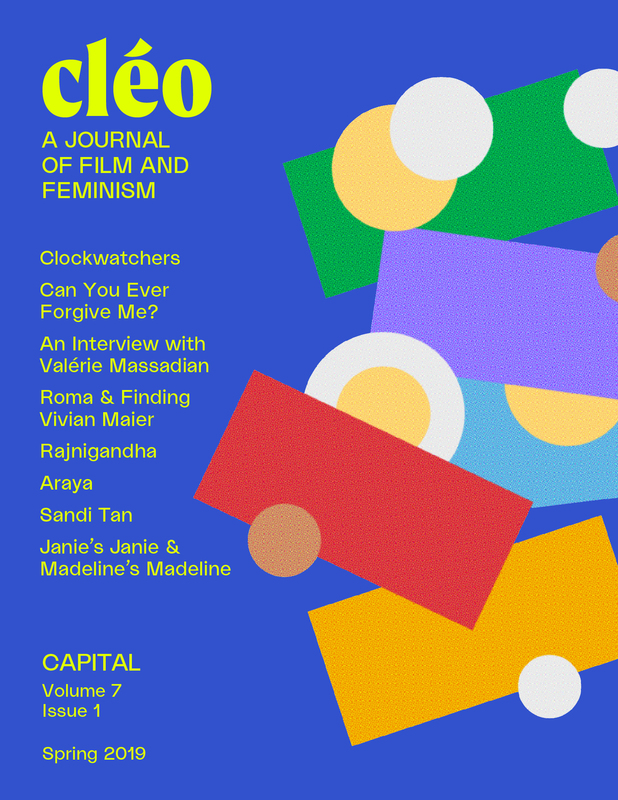 With this in mind, cléo the journal is an open space for emerging and established writers—especially women—who are still massively underrepresented in the field of film criticism. So whether you’re discovering Varda for the first time or revisiting her oeuvre, we hope you enjoy this issue. Here’s to creating a new, radical and open cinephilia. A journal of film and feminism.